Ben Allen has ridden Native Soldier to victory in the Caulfield Guineas Prelude. A return to Caulfield has brought out the best in Native Solider who outgunned his rivals to win the Caulfield Guineas Prelude. 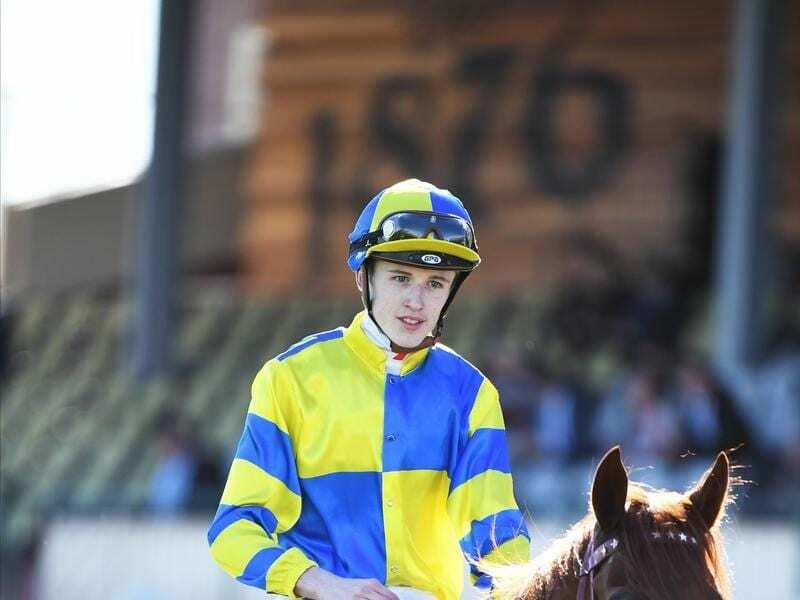 A winner over 1200m at Caulfield earlier in the month, Native Soldier left trainer Darren Weir slightly disappointed with his fifth placing at Flemington on September 15. That was over the straight 1200m and Weir said racing around a bend, which he did in Sunday’s 1400m Guineas Prelude, was certainly beneficial for the three-year-old. Well-rated in front by Ben Allen, Native Soldier ($9) scored a two-length win over Tavisan ($8.50) with Long Leaf, backed from $8.50 to $5, a length away third. Native Soldier had his price slashed from $17 to $9 for the Caulfield Guineas on October 13 on the strength of Sunday’s win. Weir said the intention was to sit outside the leader on Sunday but wasn’t disappointed when Allen took up the lead. “He was just starting to over-race a bit but went a nice pace,” Weir said. “I did say to Benny to put it to them on the corner if you get left in front and make them catch you. Questioned whether Native Soldier will handle the 1600m of the Guineas, Weir said the colt will need to do everything right. “But it’s a pretty good race to be trying it in,” Weir said. “He’s a beautiful horse. To look at him in the mounting yard he’s a cracking type and he’s got the ability.